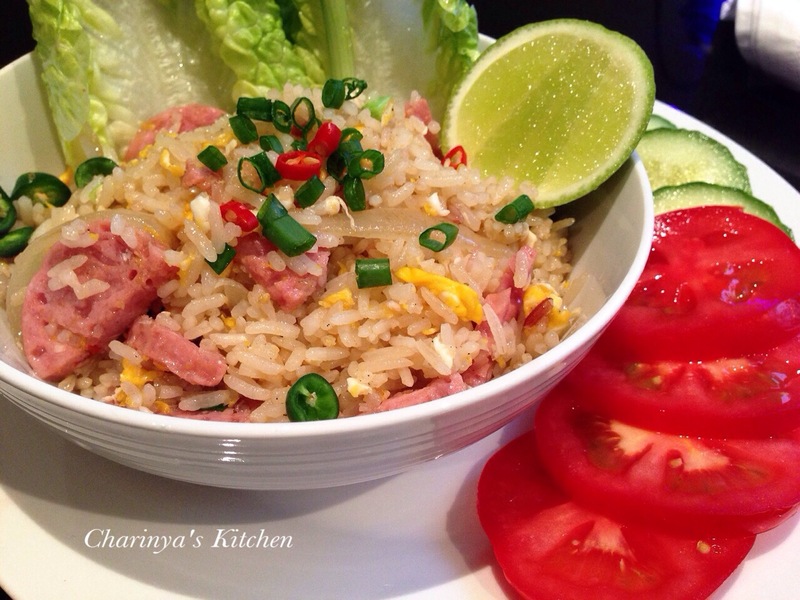 Fried rice is a dish that is easy to make. Sometimes we call it a fridge cleaning dish as you can include anything that you want to get rid of, such as left over roast meat, ham, prawns, any kind of vegetable etc. Today I made “Kow Pad Nam ข้าวผัดแหนม”, which is a fermented pork fried rice. You can substitute fermented pork with any kind if protein or you can go vegetarian. • 1/2 cup of fermented pork roll, cut into small pieces. Combine all stir-fry sauce ingredients together in a small bowl. Set aside. Place 2 tbsp. oil in a wok or large frying pan over medium-high heat. Add the garlic and brown onion stir-fry to release the fragrance (1 minute). Add the fermented pork (or your substitute) and stir-fry for another 1-3 minutes, or until the meat is nearly cooked. Push the ingredients to the side of the pan and quickly scrabble the egg by stir-frying. Add the rice, diced carrot and prepared sauce, and stir-fry everything together. The heat should be fairly high, high enough so you hear the rice crackling or popping, but not so high that the bottom of your wok will burn. Gently stir-fry until everything is thoroughly mixed. Add the spring onion (leave some for garnish) and continue stir-frying for another minute. Remove from heat and do a taste-test. 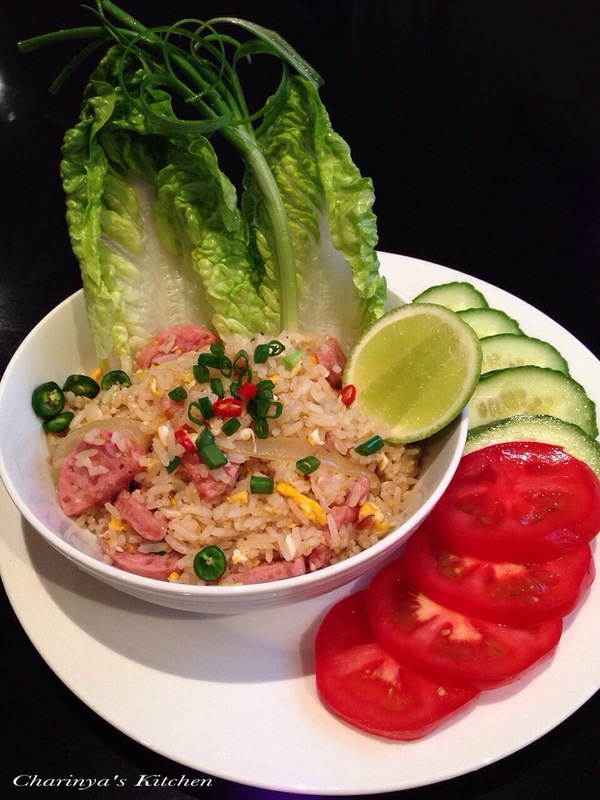 Top with the fresh chili and chopped spring onion, and serve your fried rice immediately.